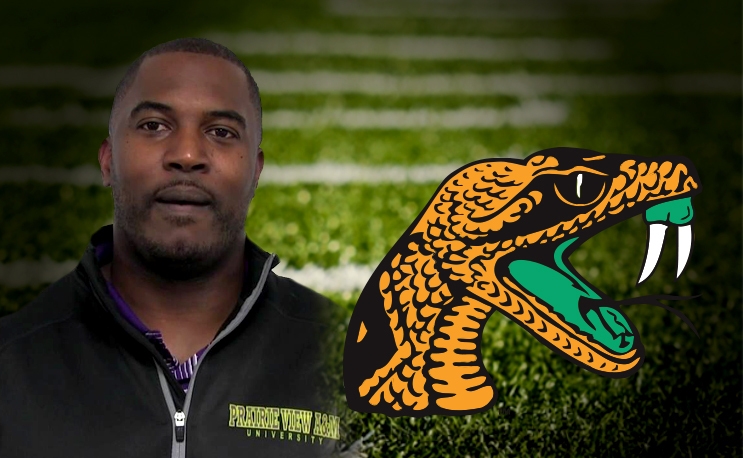 Florida A&M has hired former Prairie View A&M head coach Willie Simmons as its new frontman, according to Tallahassee.com. A Tallahassee native, Simmons went 21-11 in three seasons at PVAMU. That was his first head coaching job after serving as offensive coordinator for Alcorn State prior to that. His hiring comes weeks after Alex Wood resigned after three seasons at the helm. FAMU QB Ryan Stanley preps to throw a pass against A&T in 2016. Simmons was briefly a member of the FAMU football team back in 2003 after transferring from Clemson but was denied a waiver to play as the program was in the midst of an attempt to join the FCS. His departure now leaves another head coaching vacancy in the SWAC as Mississippi Valley State, Alabama A&M and the University of Arkansas-Pine Bluff all fired their coaches following the 2017 season.